There are over 12,000 Bodegas in NYC who offer everything from sandwiches, candy, paper towels, lottery tickets, and the occasional sighting of the “Bodega Cat”. Bodegas are apart of the culture of NYC, but in this modern age of urbanization, rising rents, a changing retail landscape, technology and a shift in consumer preferences to healthier food, Bodegas must reinvent themselves if they want to stay in business in NYC. 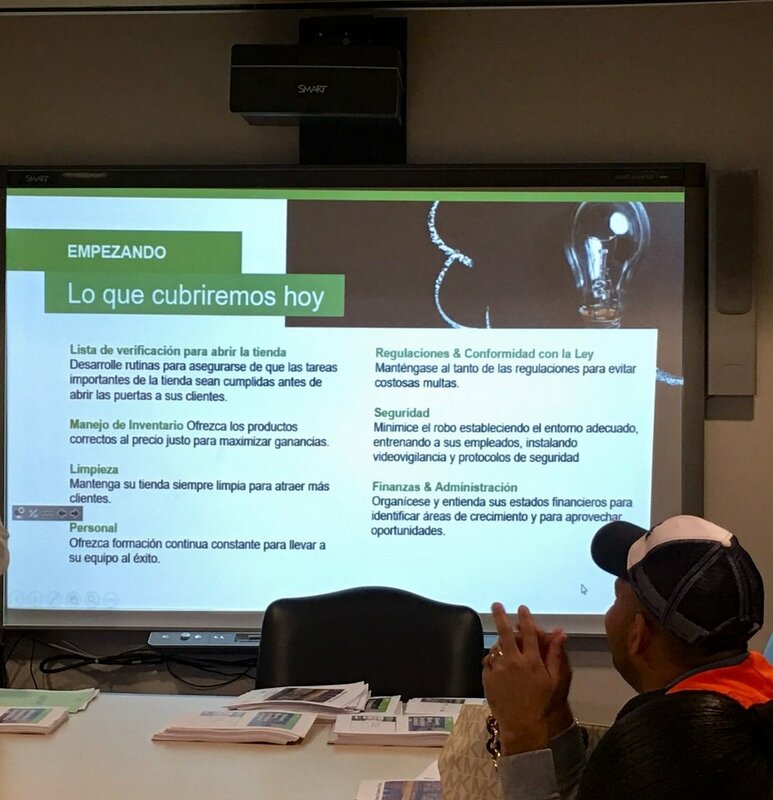 Training bodegas on how to create more healthy, profitable and sustainable stores will ensure that they can remain in NYC for years to come. Progress Playbook teamed up with NYC Department of Small Business Services, Citi Community Development and City Harvest to design the Bodega 2.0 program. Using the Bodega 2.0 toolkit, Bodega owners take a series of assessments to identify their strengths and weaknesses and then are paired with a food retail expert who assist them in making upgrades in inventory management, operational efficiencies and in store experience. We also designed 3 workshops to help general food retailers in NYC to operate more effectively. To date, forty (40) NYC Bodega owners have gone through the Bodega 2.0 program and have implemented many of the recommendations, including purchasing a Point-of-Sale system, up selling products, creating operational guides, adopting a FIFO inventory system and more. To date, over two hundred (200+) entrepreneurs and business owners have taken the 3 general food retail workshops on inventory management, operational efficiencies and in store experience. Connect with us to collaborate and bring customized entrepreneurship programming to your organization.